HospiCarePro was designed for any health institution that has the patient as centre of operation. 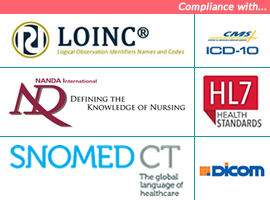 It suitable for all sizes of healthcare providers; from clinics to multi-specialty hospitals, covering a wide range of hospital administration and management processes. Healthcare practitioners, HMO's, statisticians and researchers are not left out; with well-built modules that converges all aspect of health management, processes and practices. Also, the government at a larger perspective. HospiCarePro is an e-health application. That means, health information and record can be exchanged with other health providers and services, outside the domiciled HospiCarePro environment, in a secured and private connection. It manages expanding caseloads, monitor delivery of care, and track patient, partners, and system outcomes. Hospitals can empower their people to be more proactive using HospiCarePro E-Health Application. 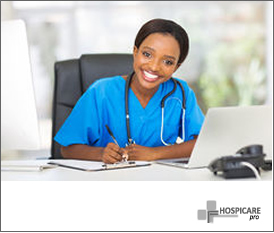 This Innovation; HospiCarePro, is scalable and flexible to any healthcare industry, not just Nigeria. We had this at the fore-front when designing the framework. We wanted an innovation we could take to other countries like; Ghana, Sierra Leone, South Africa and other countries of the World and we don't have to re-engineer, tweak or adjust so much. The basic foundation of the innovation such as: Currency and conversion rate, Form field and parameters, process flow are adjustable. Healthcare services account for approximately 10% of GDP of western nations. This includes payments to hospitals, doctors, nursing homes, diagnostic labs, pharmacy services and manufacturers of medical devices. With HospiCarePro, health professionals can communicate with one another, with patients and other connected partners. Built for the healthcare sector, to facilitates efficient, coordination of care, and delivers many ways to interact with patients and partners. 'Partners' as used here depicts other health providers connected on the same private network, to exchange medical information. Hospitals utilize the services of doctors, nurses, technicians, and other related specialists in the treatment and management of illness, including efforts to preserve mental and physical wellness. Many Healthcare services are delivered via a centralized health care system, such as Medicare in Canada or the National Health Service in the U.K., while services are delivered via Managed Healthcare Networks such as Health Maintenance Organizations (HMOs) in the United States. Whatever the method of delivery, it is agreed that costs have increased steadily and ways have to be found to better, and more, cost efficiencies in delivering healthcare services. Using Nigeria as case-study, Nigeria has a population of over 170 million with more than 60% unable to access quality and timely healthcare. It is estimated that there are four doctors for every 10,000 inhabitants. These few available doctors struggle daily to meet up with the long queue of needing patients. The world health organization ranks the Nigerian healthcare system amongst the worst in the world. Specifically, its most recent report places Nigeria at the 187th position of 190 countries. How do we intend solving this problem with HospiCarePro? Simply by making saving more time, which will enable the few available doctors to save more lives by attending to more patients. If the average session per patient used to be twenty (20) minutes, with HospiCarePro we can achieve better results upto sixty percent(60%) time-saved. Not just sessions with doctors, but on every operation in the Hospital. Yes, all processes from OPD to IPD such as registration, payments, queuing, investigations, pharmacy and admission. The uniqueness of this Innovation is not just on the amazing features. Rather, on the motive; serving more lives! With no doubt, we believe we all can benefit from this innovation, as administrators and collectively and as a state. HospiCarePro is constantly updated and supported. Our team of developers and professionals are always looking for that next 'good stuff' to add to it and improve on. Our Customer Support channels are always opened to assist clients on various topics. We hope you find this Innovation just the right tool for your healthcare need! HospiCarePro is the culmination of over 8 years expertise in the Healthcare Software Industry, backed by an experienced team of Healthcare Practictioners to deliver speed, transparency, accountability and vision to the health industry!